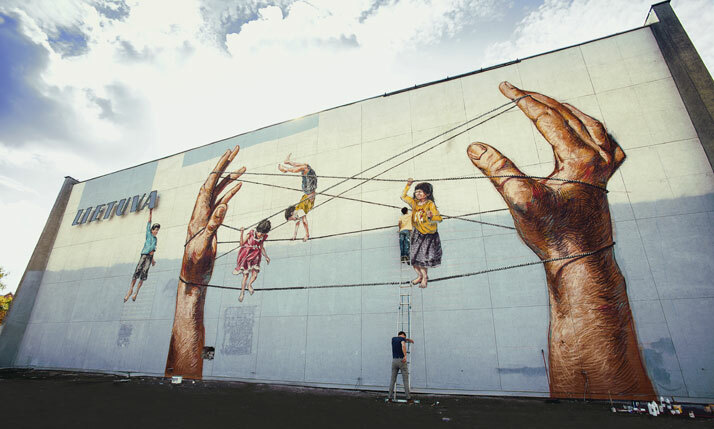 Classically trained as a painter and with a degree in fine art under his belt, young Lithuanian artist Ernest Zacharevic(a.k.a. Zach or Zachas) has built himself a reputation in street- and fine-art circles through the emotional impact and uncompromising mashup of techniques in his work. 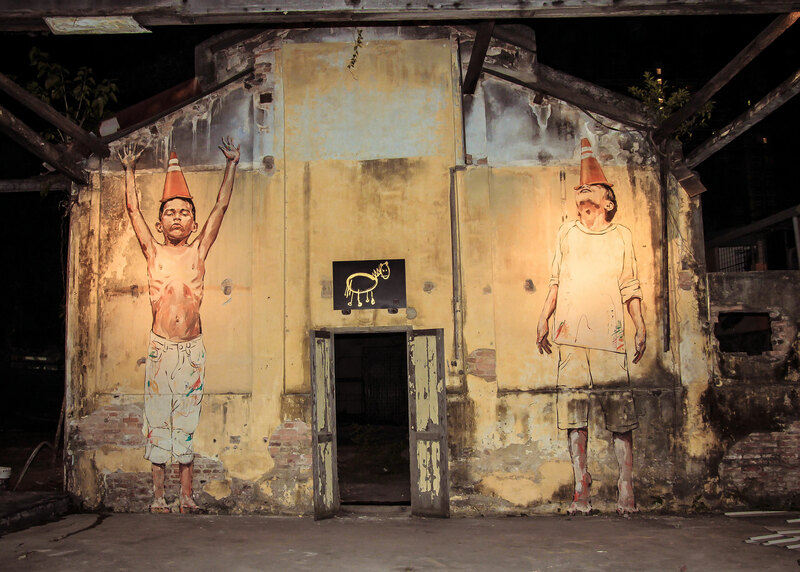 Based in Penang, Malaysia, but always a restless traveller at heart, whilst Zacharevic is active both in the studio and outdoors, he prefers however to see himself as ‘‘more of a fine artist who paints in the streets rather than a street artist.’’ Undoubtedly, his work fairly justifies this self-definition, mostly because of how it combines elements from both worlds seen in the combination of the thick messy lines of spray paints with his detailed brushwork. Kutching, 2014. 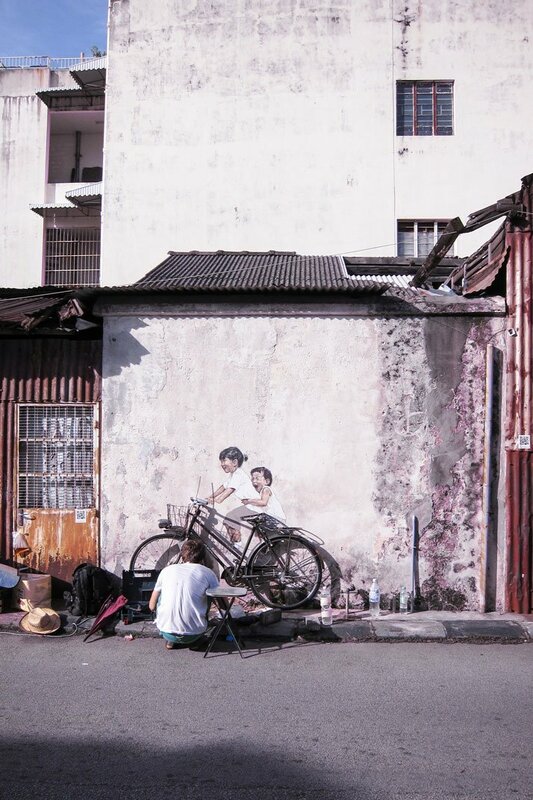 Photo courtesy of Ernest Zacharevic. 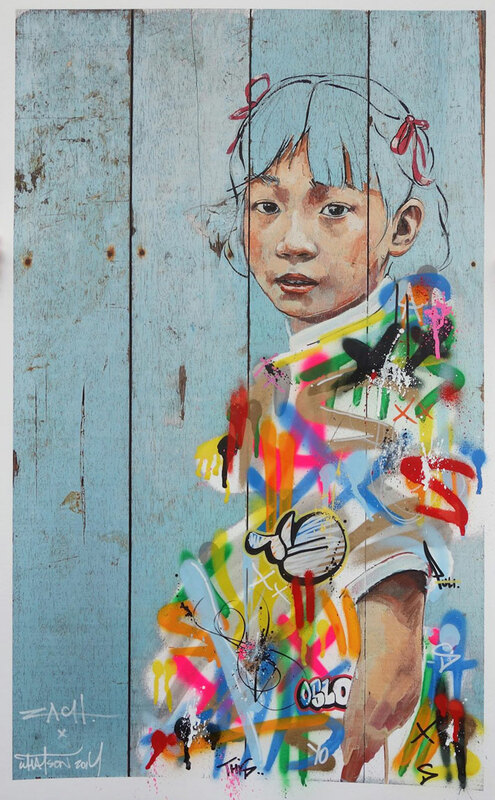 Different Strokes (collaboration with Martin Whatson). Photo courtesy of Ernest Zacharevic. Singapore, 2013. 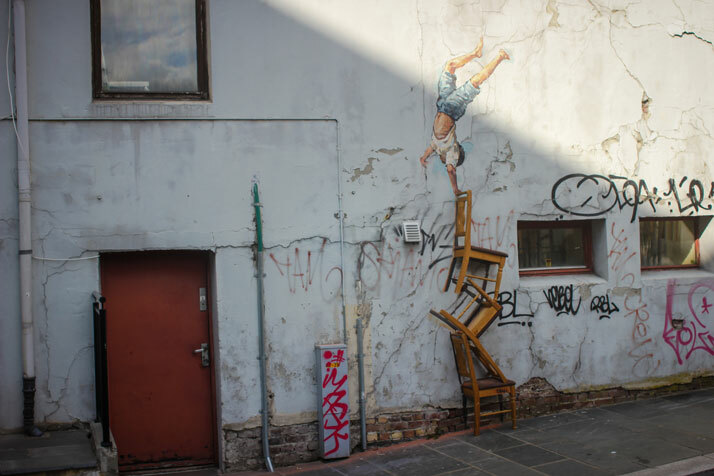 Photo courtesy of Ernest Zacharevic. 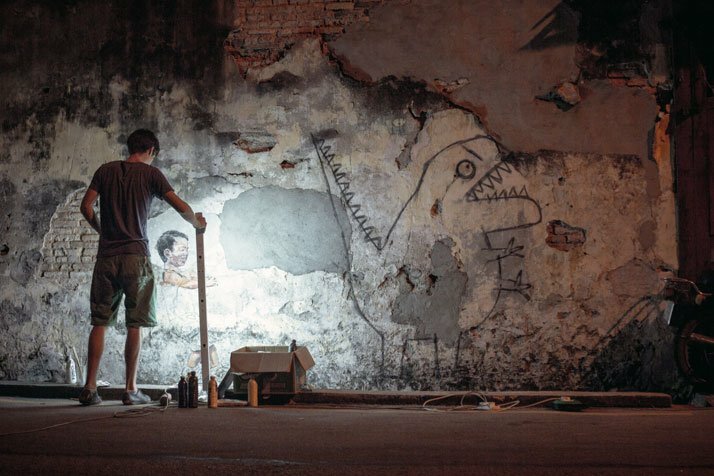 What has earned Zacharevic his huge social-media fan base however, is in all probability his signature street installations that combine real objects with painted figures, seen in examples such as a trough ‘filled’ with young orangutans, or more famously his ‘two children on a bicycle’, a well-known street art piece in Penang’s George Town. 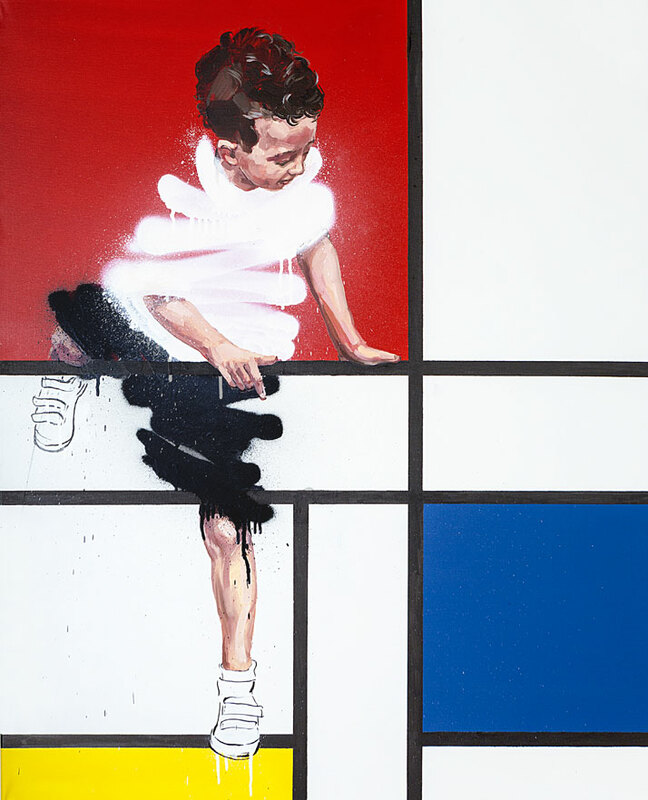 Focusing mostly on portraits and inspired by the ambience and environment around the site he paints, Zacharevich as a particularly humorous approach to painting, especially when it comes to transforming holes, pipes, and other insignificant features that are commonly found in streets, into artworks. 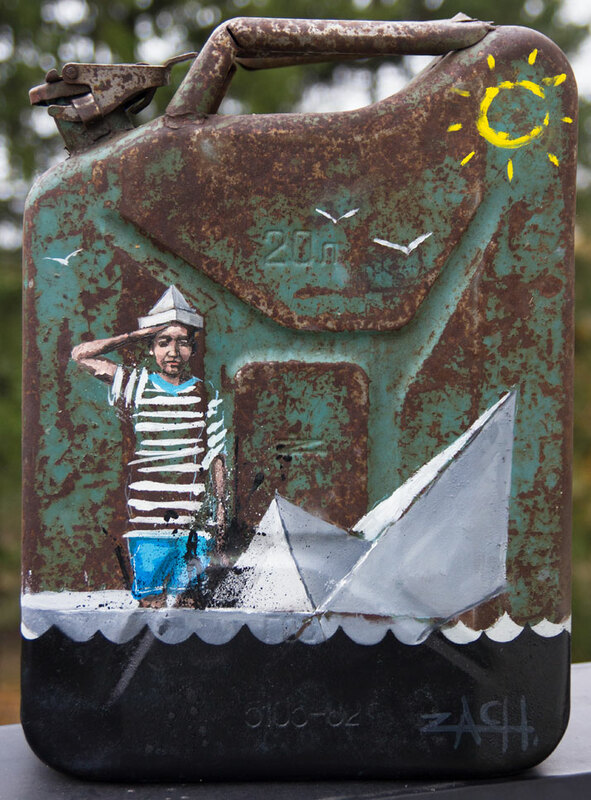 Yet what is really at the heart of his work is the joy and frivolity of children, which he evidently loves to paint and portray in playful scenes that are on the verge of being nostalgic. Whether this is a message about life resembling a game, or about growing up and the inevitable passing of time, it’s impossible to tell: Zacharevic refuses to give any explanation about his works, instead allowing the viewer to draw his or her own conclusions. Stavanger, Norway, Nu Art Festival 2013. 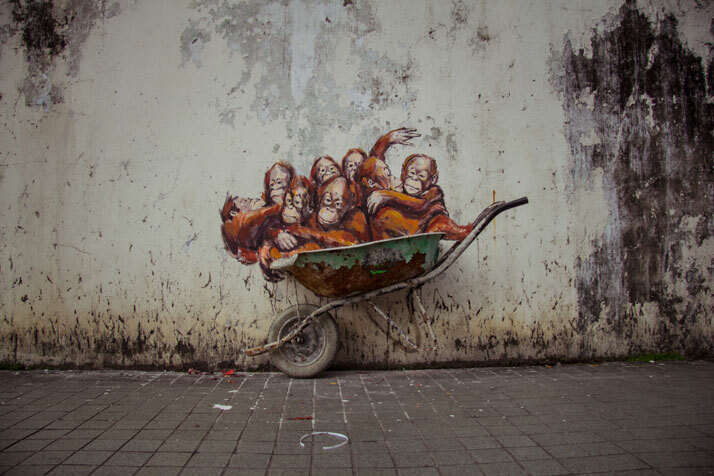 Photo courtesy of Ernest Zacharevic. Composition With Red Yellow and Blue (Print). 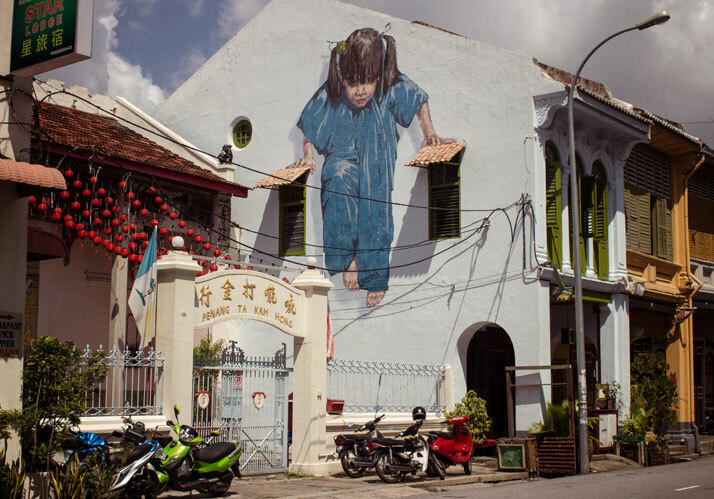 Photo courtesy of Ernest Zacharevic. 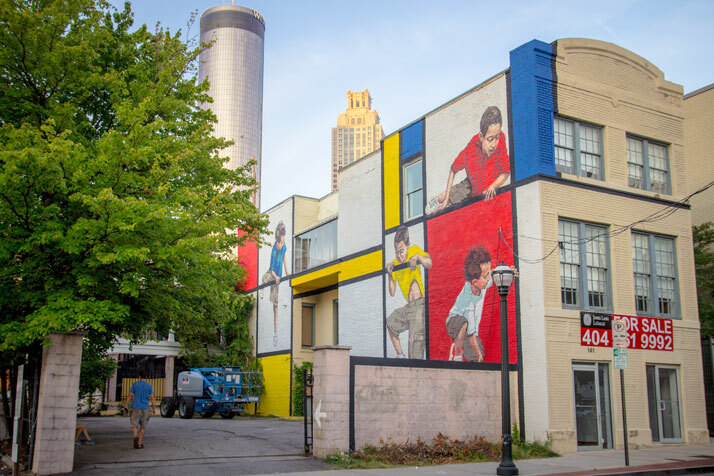 Living Walls, Atlanta 2014. Photo courtesy of Ernest Zacharevic. George Town, 2012. 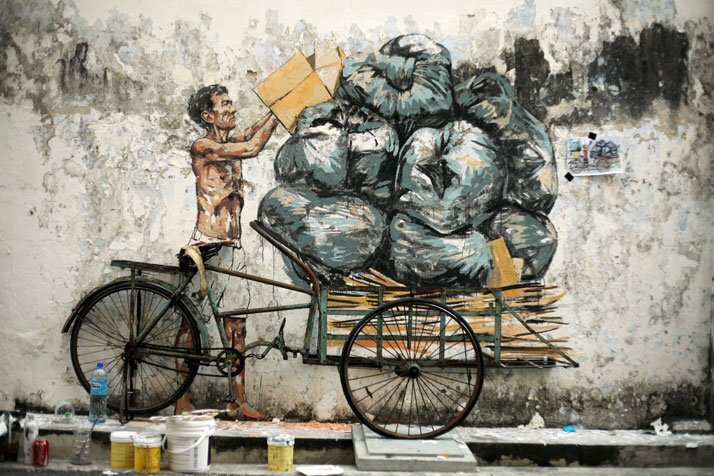 Photo courtesy of Ernest Zacharevic. 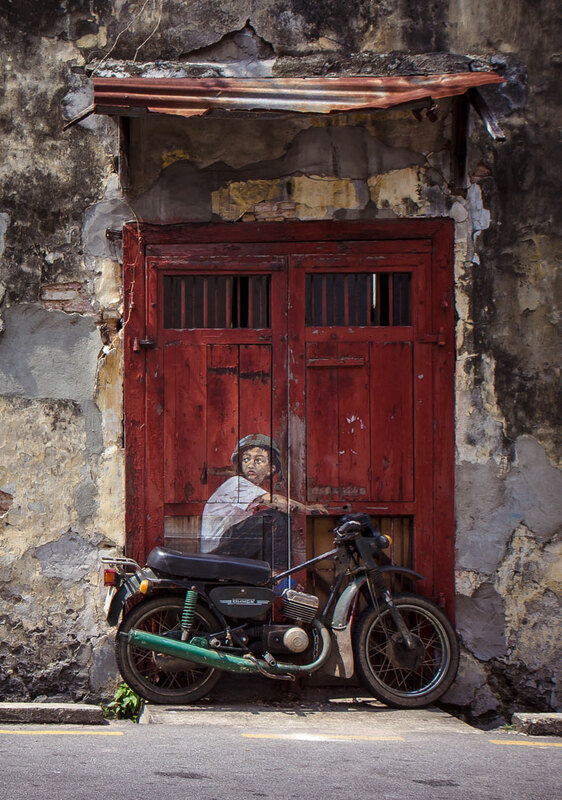 Photo courtesy of Ernest Zacharevic. 'Art is Rubbish is Art' exhibition, 2015. Photo by Paulius Staniunas. Hin Bus Depot, Penang. Photo courtesy of Ernest Zacharevic. 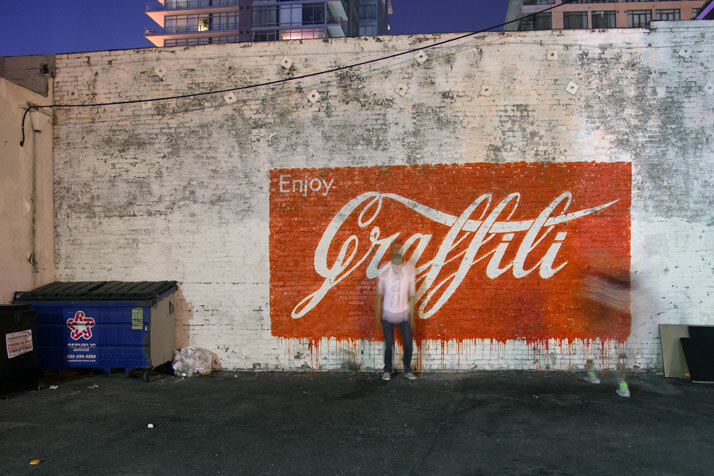 Enjoy Graffiti, Los Angeles. Photo courtesy of Ernest Zacharevic. 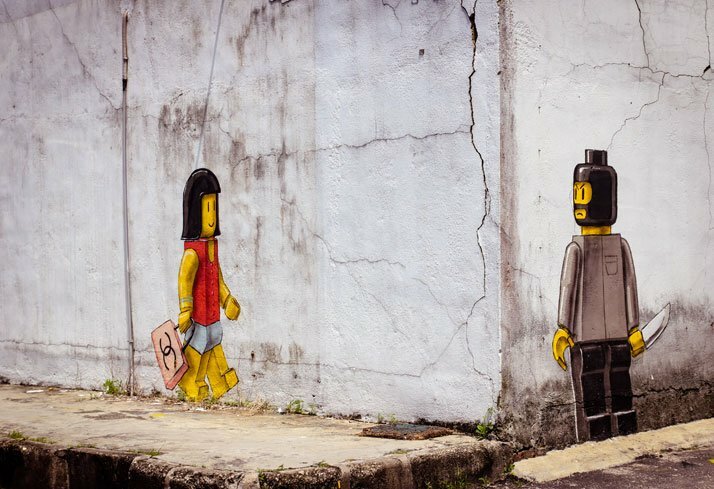 Lego, Johor Baru 2013. Photo courtesy of Ernest Zacharevic. 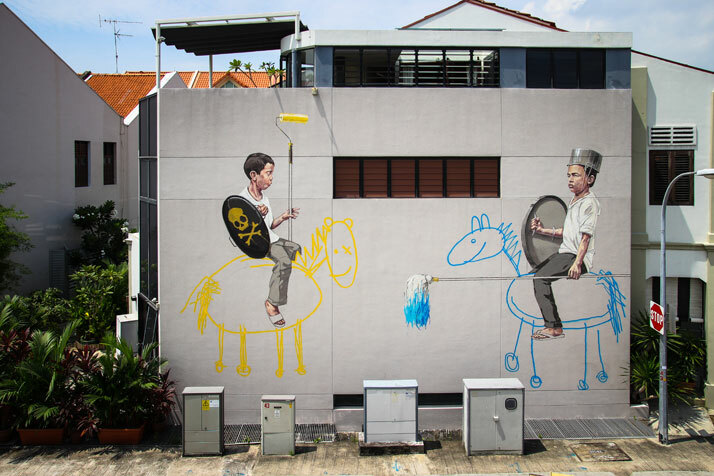 Style Wars, Singapore, 2013. Photo courtesy of Ernest Zacharevic. The Spill. 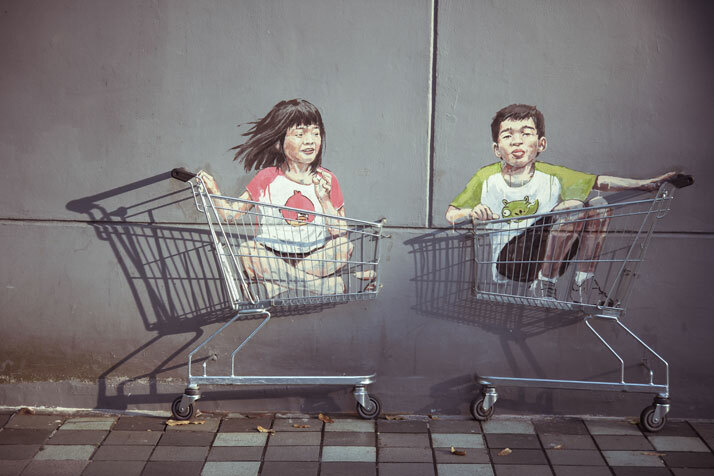 Photo courtesy of Ernest Zacharevic. Vilnius, 2013. Photo © Ignas Falkauskas.